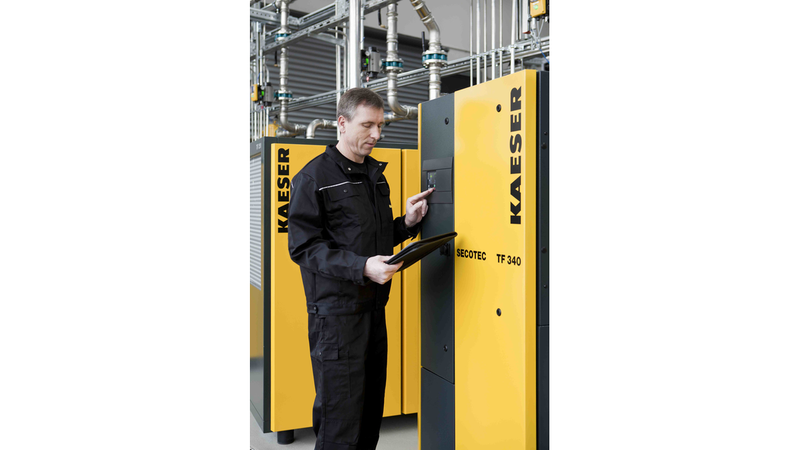 Efficient and reliable compressed air treatment is essential when it comes to economical compressed air production. 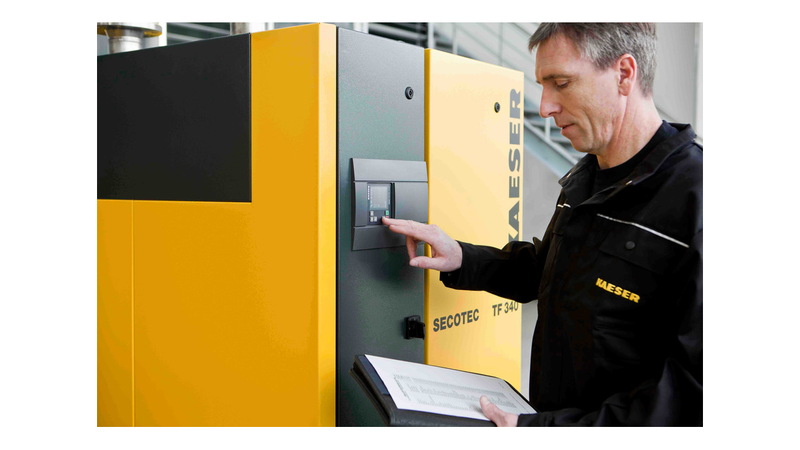 The second generation of Kaeser&apos;s highly successful energy-saving Secotec refrigeration dryers is truly impressive: Not only do they take up only about half the space of comparable first generation dryers despite having a higher specific rating and lower pressure drop, they are also significantly lighter and uses significantly less energy. The extremely efficient Secotec series thermal storage dryers are now available for air flows up to 34 m³/min and consequently now cover a delivery range from 17 to 34 m³/min. It&apos;s all made possible by an innovative thermal storage system, which contains a phase-change material (PCM) that is 98 percent denser than conventional storage media. Thermal energy is stored as the PCM cycles from a solid to a liquid state. The innovative Secotec TF series is therefore considerably more compact compared to conventional models with the same thermal storage capacity. Their footprint is up to 46 percent smaller and they are approximately 60 percent lighter than other thermal storage dryers. 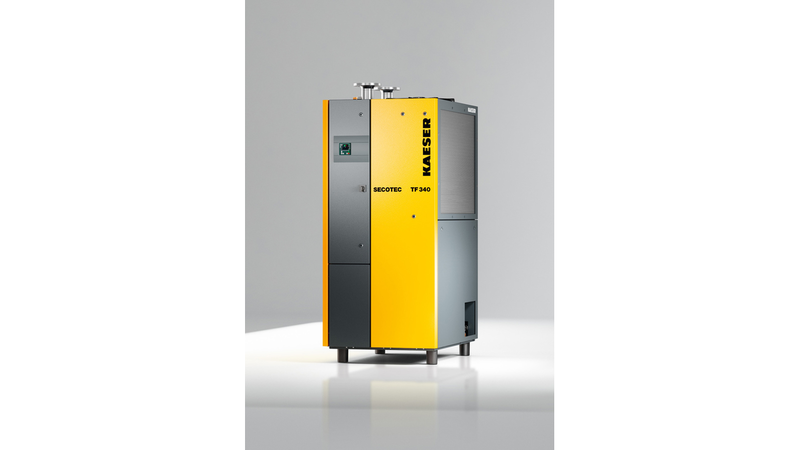 It has therefore never been easier to find space for, and install, Secotec TF dryers, particularly as two sides of these units can be installed next to a wall.